Hills upon hills. Why are they there? Are these early forms of man-made ski slopes that date back to the ice age…? Well, not quite. The real answer is that there were over 450 collieries producing 57 million tonnes of coal in the early 19th century. Each mine had tunnels that needed to be dug out for underground mining; therefore there was an awful lot of waste spoil that had to go somewhere. This waste was unceremoniously scattered around the hills near to the mines, eventually growing to become mounts known as “coal spoils”. So why are they important and what is their historic significance? 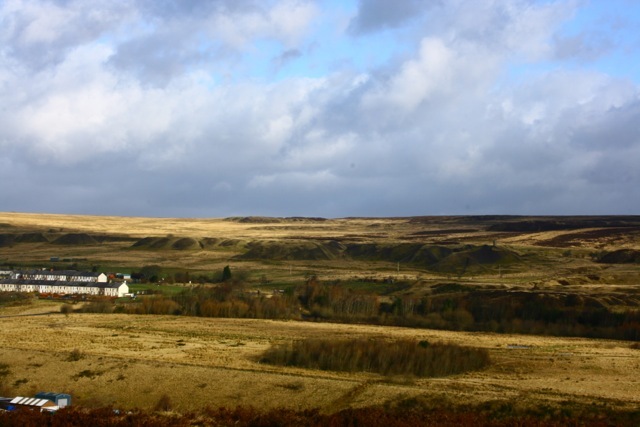 Coal spoils around Forgotten Landscapes and the Blaenavon World Heritage Site have only recently started to become recognised as places of historic and natural importance. There are few places in the UK that boast these coal spoils. Each spoil is a piece of evidence dating back to it’s own period of industrial history. In the eyes of an industrial archeologist, the coal spoils of the World Heritage Site and Forgotten Landscapes are of great significance. Coal spoils typically provide a very thin layer of poor quality soil, which which limits the rate at which plants can get established. 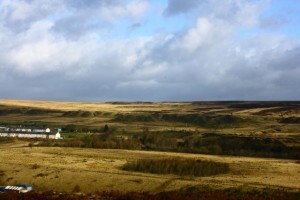 Coal spoil provides important and unique habitats for wildlife because of its limited plant cover. Rare, slow growing colonizing plant species such as lichens and liverworts thrive in these conditions as do reptiles and insects which benefit from the warmth generated by the sun heating the areas of bare ground. 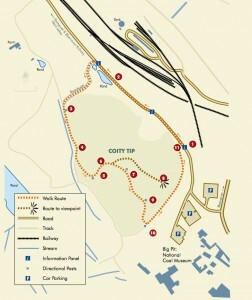 Forgotten Landscapers key activity for the coal spoils site relates to erosion repair and upgrading a wildlife trail at Coity Tip in the grounds of Big Pit mining museum. 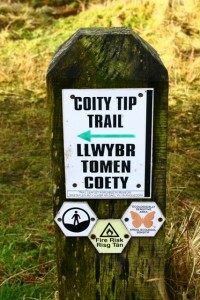 Coity tip trail there to be enjoyed by everyone! These days the spoils are one of the region’s top attractions. The Forgotten Landscapes team has now established a series of trails allowing visitors to enjoy a peaceful walk up and around them. 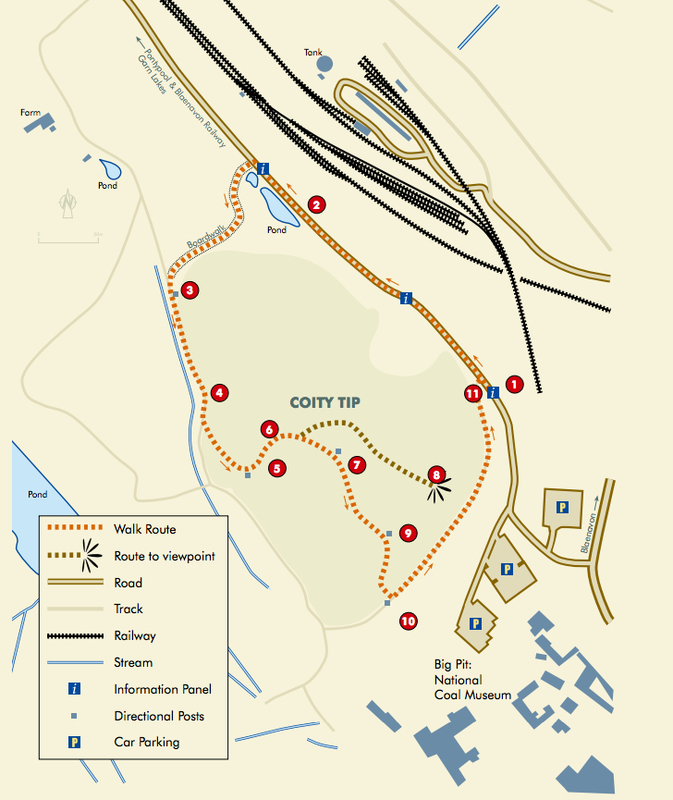 One great example of this is the Coity Tip Trail, which is a short walk around an old waste tip from the Coity Pit, ironstone mine sunk during the 1840s. 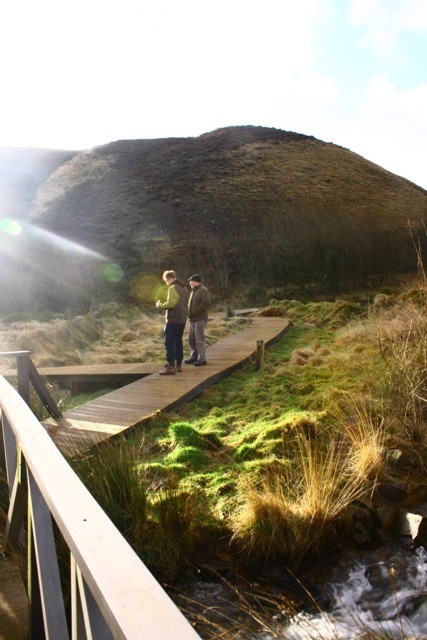 Whilst it may seem to be an unusual place to go for a walk, visitors get to learn how spoil heaps formed and why they are now regarded as an important element of our industrial heritage. The trail guide also points out many of the rare and interesting plants and animals that make their homes on these seemingly inhospitable features. And, of course, from the summit there are the fantastic views across the iconic Blaenavon World Heritage Site and Forgotten. Coity Tip Trail is a great place to visit before or after a trip to the Big Pit National Coal Museum, the trail offers wonderful views of the area and in the summer months views with plenty of flowers. To find out more click here. To discover the map click here.